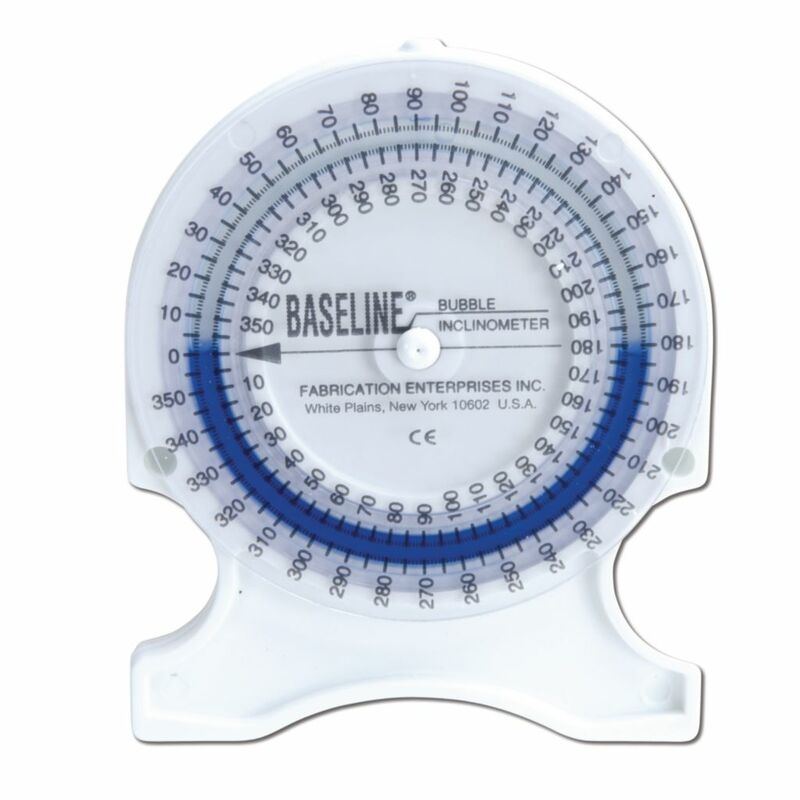 This baseline bubble inclinometer accurately measures complete range of motion. Measurement techniques are codified in the AMA guide to the evaluation of Permanent Impairment, third edition. 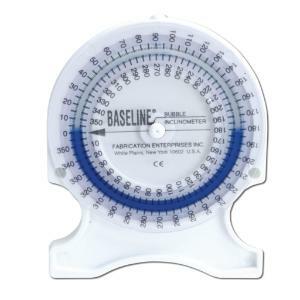 Place the inclinometer near the joint to be measured: Turn dial until scale reads 0; Take joint through its range; Read range traveled directly from dial. Numerous neck and back measurements require the simultaneous use of two inclinometers.